We've already seen videos highlighting the wizard and warrior of upcoming action RPG, Realms of Ancient War, but what about the third member of the party? 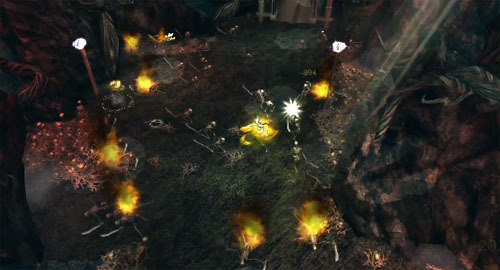 The rogue makes her appearance in the latest trailer for the game, complete with spinning blades, dashing attacks, and salvos of arrows. A nice middle ground between the melee-oriented warrior and the ranged-focused wizard, the rogue will be quite capable in both melee and ranged combat. When overwhelmed by enemies, she can call upon her ability to stealth, lay traps, and other types of dirty fighting. Realms of Ancient War supports 2-player local co-op and is expected out sometime this month for XBLA, PSN, and PC. When available, gamers will be able to snag it for $10. Page created in 0.2578 seconds.